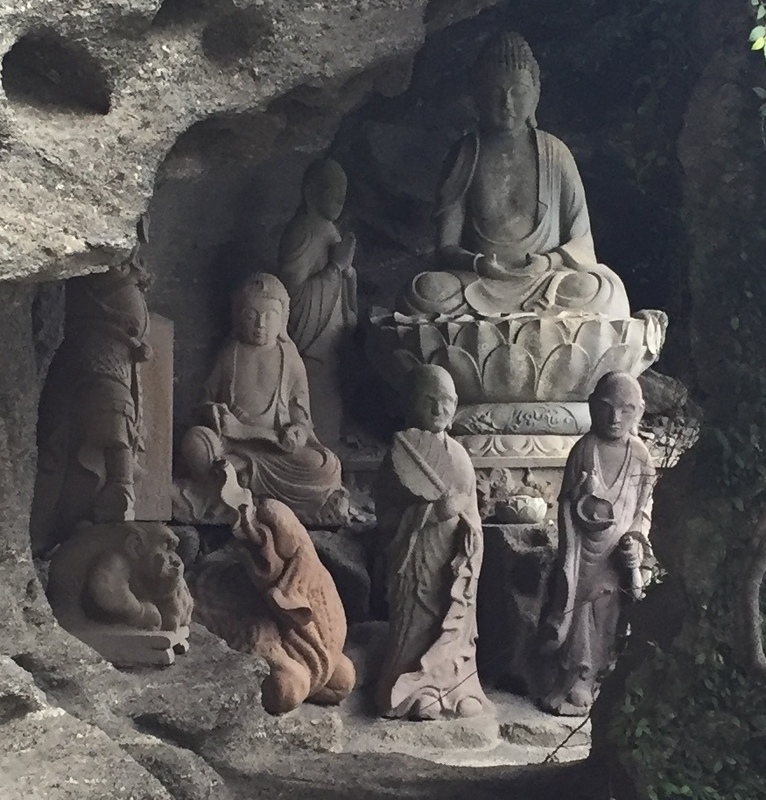 Being a non-Japanese in Japan can often be a challenge but sometimes it comes with great opportunity and this is partly a story of that! 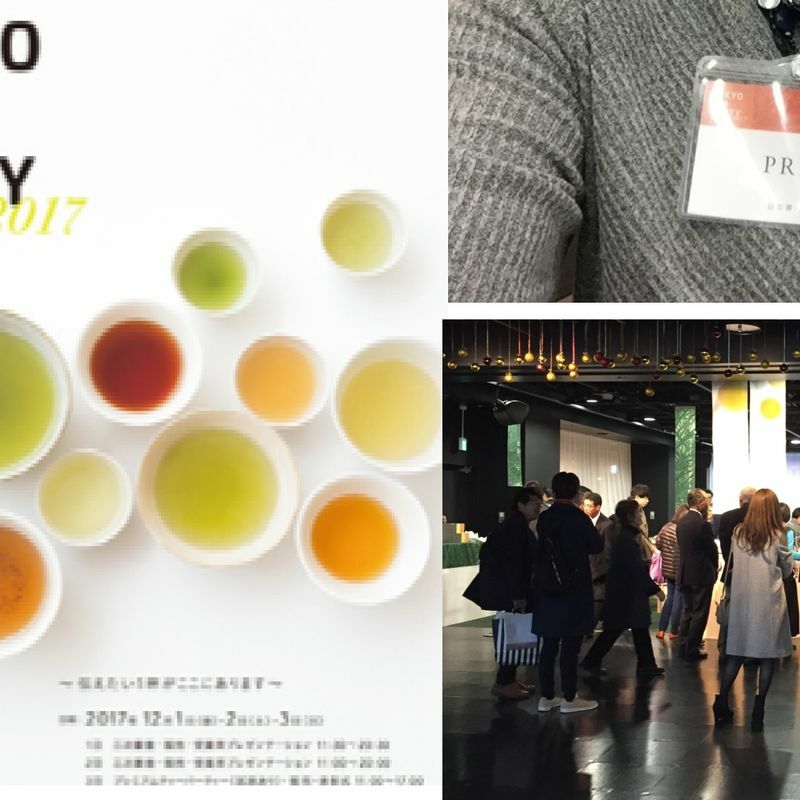 Over the summer a friend offered me an opportunity to participate in a green tea related event and write a blog about it. I showed up, perhaps more enthusiastically than expected, and before I knew it I found myself sitting at the top of a table of tea tasters, with a press-pass pinned to my chest, participating as a judge in the Tokyo Tea Party; which is fast becoming an important landmark tea event in Japan, with talk of it becoming an international affair. If you had told me this story a few years ago I would have laughed you out of the room! At the time my relationship with green tea was that I tolerated it politely. But doctor’s orders to put down the coffee, combined with my need for caffeine, and the growing awareness of the health benefits of green tea has lead to the extraordinary situation of me becoming a daily green tea drinker! Of course, the never ending subtle bombardment of green tea into my daily life here in Japan is also most likely a factor. 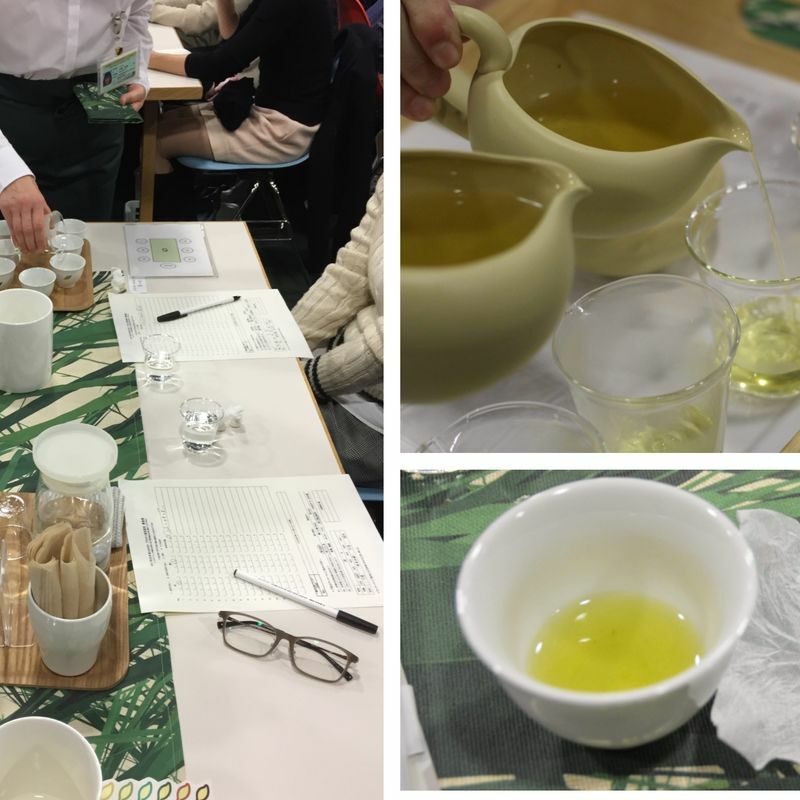 Not that being a green tea drinker was required to participate in this event but it might have been more difficult to sit through the tasting of the 18 competing teas (17 of them green tea) if my palate was not accustomed to the slightly bitter taste. Out of the 405 original entries 387 were filtered out in the primary and secondary screenings held earlier in 2017 leaving only 18 qualifiers for the Tokyo Tea Party; the third and final screening. 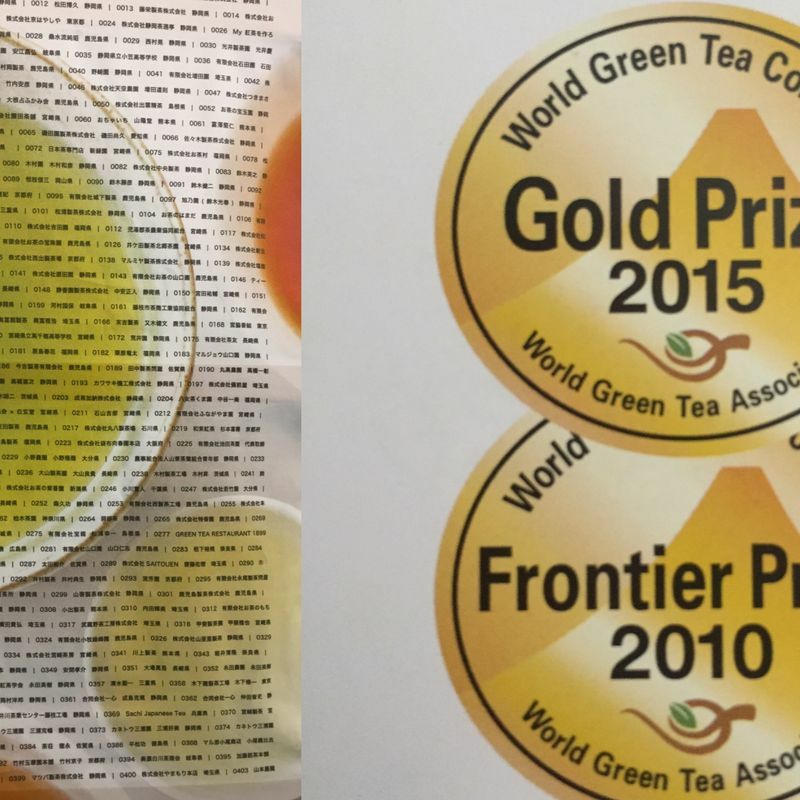 These 18 teas, the winners in the first two screenings were awarded platinum status; no small accomplishment in this country where green tea is a way of life. The tasters/judges came from all walks of life, from tea experts all the way down to the humble consumer like myself. Our application to participate as tasters had been made and accepted a couple of weeks in advance and on arrival we were guided to our designated seats. Six tables with six to seven tasters at each table to be repeated more than 15 times over the course of three days, for a total of 600 tasters participating; commenting and voting on the 18 teas. The open plan room was tightly spaced but excellently organized for the event. Each taster was presented with their own little taster cup; with a unique sticker on each one to distinguish it from the others. In the center of each table were a couple of water decanters for rinsing our mouths and cups after each tasting. On the participation form the teas were listed by numbers 1 to 18; their true identity hidden so as to avoid any bias or cheating throughout the competition. Each taster was asked to grade each tea for its taste and aroma and then to pick a winning choice. The room was abuzz with activity with each tea being efficiently brought to each table and poured by staff trained in the art of tea. As we tasted each tea I was aware of timers ringing in the background as other equally qualified staff were preparing the next tea. The temperature of the water, the time the tea is allowed to steep, the amount of water used, all critical to the taste of the tea. Finally, after much tasting, sniffing, and swirling we had tasted and graded all 18 teas. The identity of the overall winner was revealed once all the votes were cast and counted. Looking at my score card my personal assessment of the winning tea was that it was mild and smooth and I gave it top marks across the board so perhaps I am not such a humble tea taster after all! But it was not my final choice as I was later seduced by a different tea because of its unique and unusual flavor, throwing my logic out the window I went with this free spirit … will I ever learn? The grand prize went to a steamed green tea (蒸製玉緑茶) called Bessen Yamagiri (別煎やまぎり) produced by Okada Shokai Co. Ltd. (有限会社岡田商会) of Nagasaki prefecture. The runner-up prize went to a semi-fermented roasted green tea (半発酵のほうじ茶), a houjicha, produced by Marutaka tea plantation of Shizuoka prefecture. Helping other non-Japanese stay positive in this sometimes-tough-to-survive-in but amazing country. Such a fascinating glimpse into the world around tea tasting - I honestly never knew that tea tastings were held similar to wine tastings! It looks so official and serious! The whole article is fantastic, but I particularly love the opening. @genkidesu Hi genkidesu, thanks for reading :) Yes, it was very official! Maybe we will get to go together next year. @Saitama Of course you do Saitama! You’re the unnamed star of the story :) Thanks for reading. Gin and … Green Tea!